Let’s talk pants. 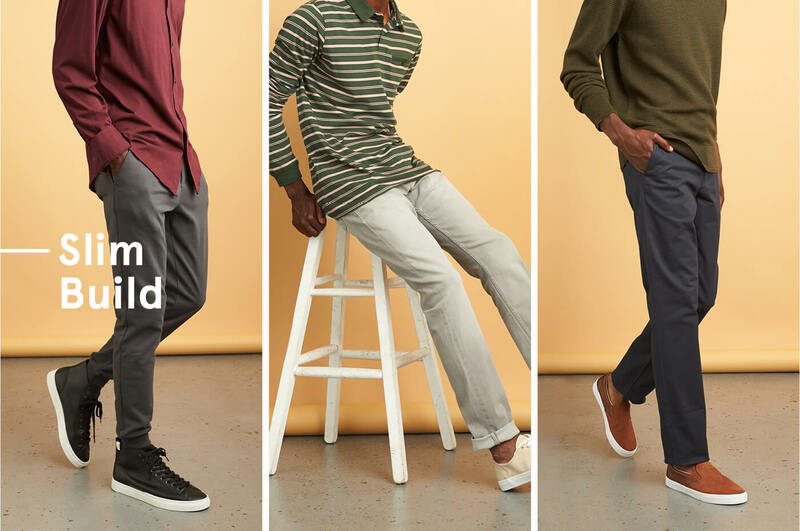 Chinos, khakis, slacks, trousers...we could go on. No matter what you call them, they’ve gotta fit and fit right. I know what you’re thinking, my pants fit fine, and for some of you, that may be true. 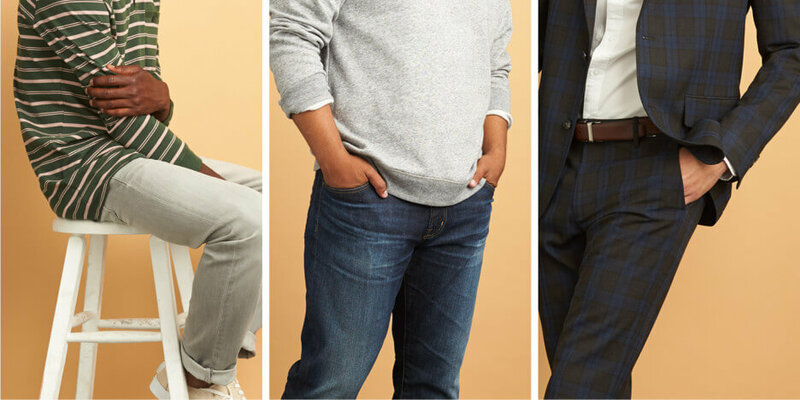 If that’s the case, there’s a great post on the men's essentials that every guy needs but for the rest of you, read on. No two bodies are the same. A regular build is going to need a very different pair of pants than a huskier build and a slimmer build…I think you see where we’re going. 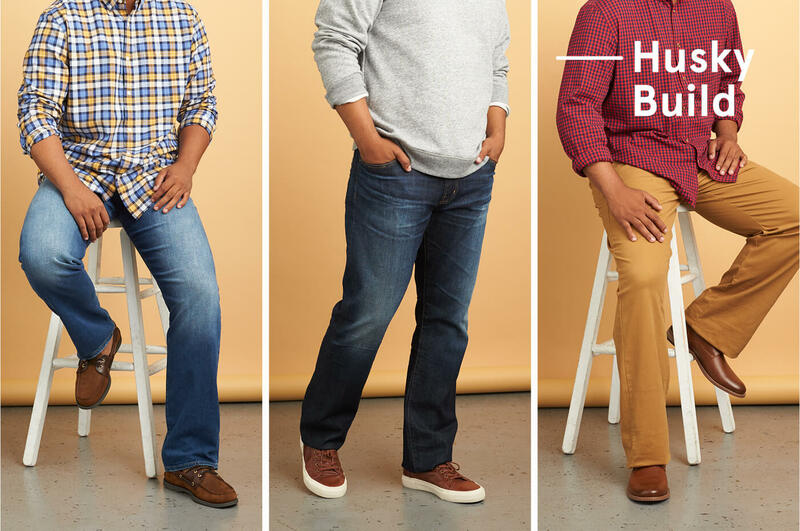 Below, we’ll break down everything you need to know to find the right pants for your build. A proportional figure means you’ll likely have the easiest time finding pants that fit correctly, but don’t get cocky. There’s still plenty to pay attention to. Look for pants that fit throughout your legs and aren’t too snug. 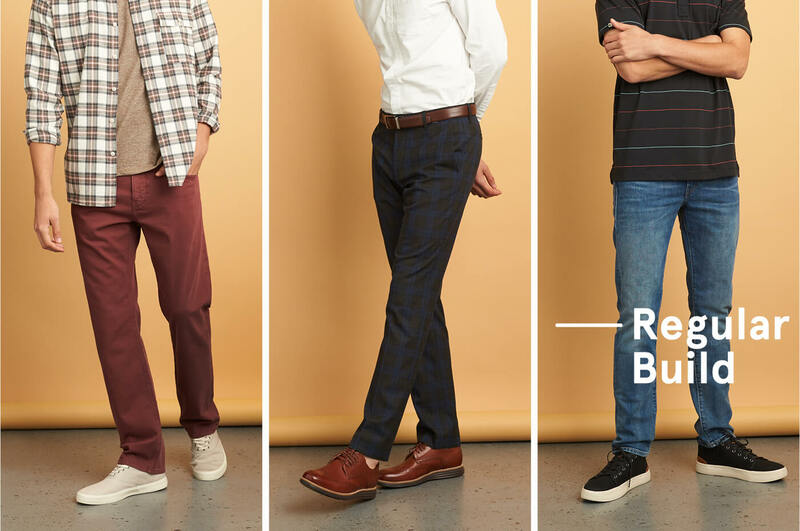 Try a narrower pant like a slim fit for a trendier look. Stylist Tip: You want straight or relaxed-fitting pants that drape evenly from waist to ankle. Pay attention to proportions when choosing the right-fitting pants. Making sure you don’t go too wide or too tight is key. Avoid undersized fits that will make you appear larger. A slightly longer inseam will help elongate your frame. Stylist Tip: Look for straight or relaxed-fitting pants. When you wear clothes that aren’t too big or small, they will slim your figure. For slimmer guys, it can be difficult finding clothing you’re not swimming in. No one wants to look like they borrowed their dad’s shirt. Skip oversized fits that will make you appear smaller. Texture, patterns and dark colors will complement your build. Stylist Tip: To not accentuate your smaller size, opt for slim or straight-fitting pants. Wearing clothing that’s proportionate to your build will hide a petite physique. Ready for a new pair of pants? Schedule a Fix today for your best fit.